Product size (L x W x H): 14.50 x 8.90 x 1.50 cm / 5.71 x 3.5 x 0.59 inches?? 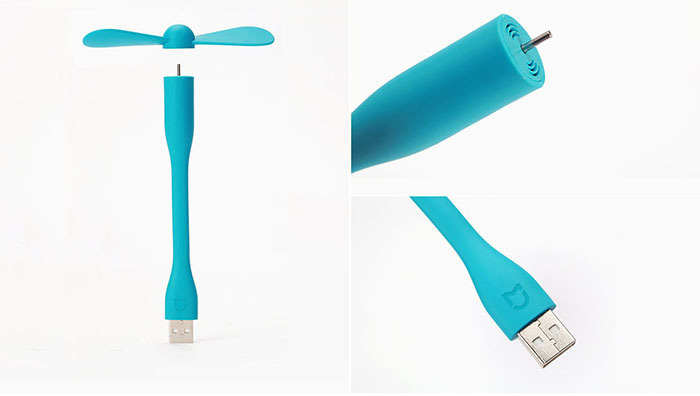 Standard USB interface: Design with standard USB interface, compatible with all kinds of USB enabled device, such as mobile power bank, computer, laptop, car charger, etc. 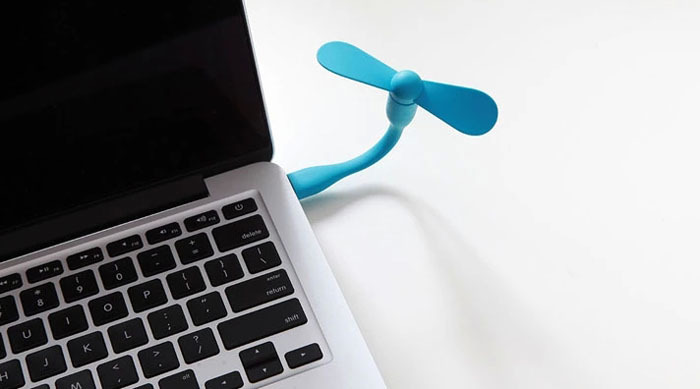 Super soft and flexible silica gel materials: Adopting soft silica gel materials, XiaoMi fan perfectly achieves flexible bend and transformation. 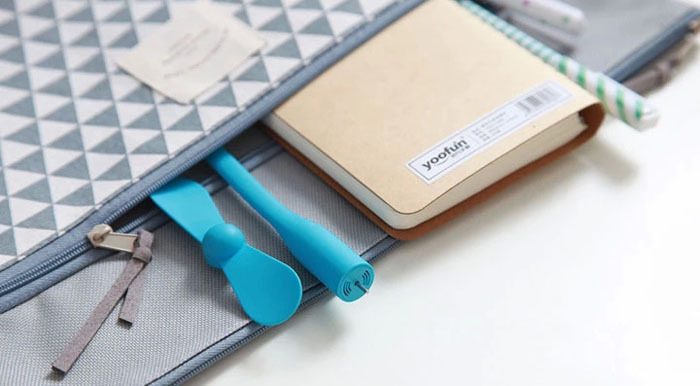 Tiny and detachable body: Innovative pocket size together with detachable body, you can put it in your bag when not in use. 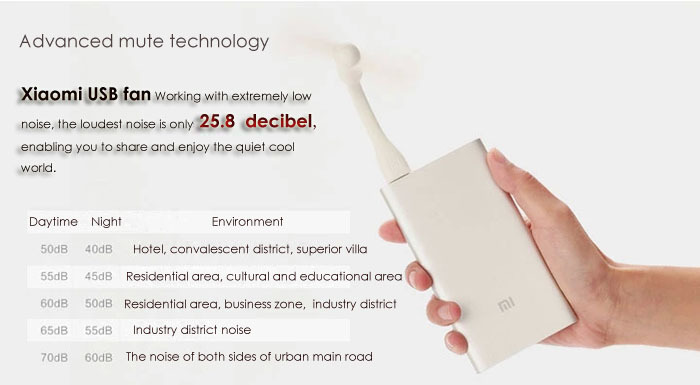 Excellent 25.8 decibel mute fan: Working with extremely low noise, the loudest noise is only 25.8 decibel, enabling you to share and enjoy the quiet cool world. 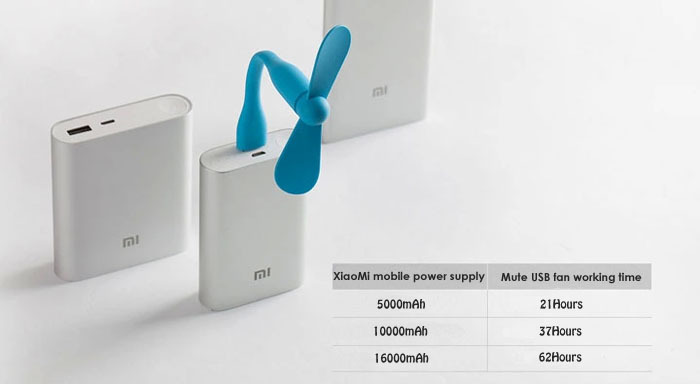 Low Power Consumption: With XiaoMi mobile power supply, the USB fan can reach to 62 hours continuous work at maximum. 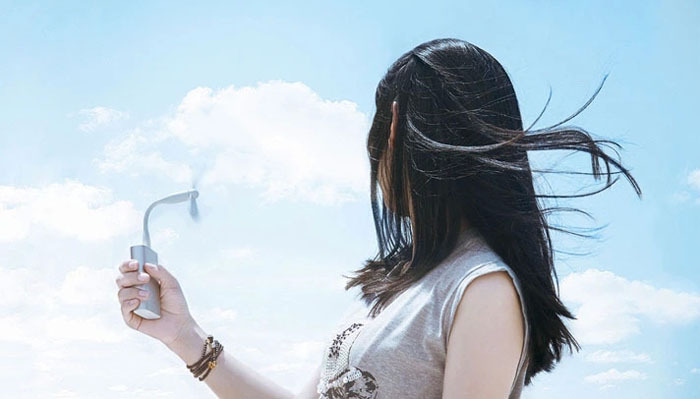 Comfortable handheld feelings: Environmental friendly and safety USB gadget, keeping fresh and nice mood in the hot summer. 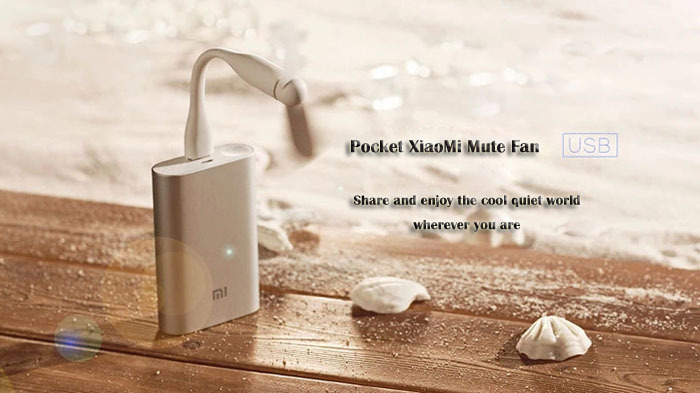 - The XiaoMi mobile power bank in description pictures are not included.